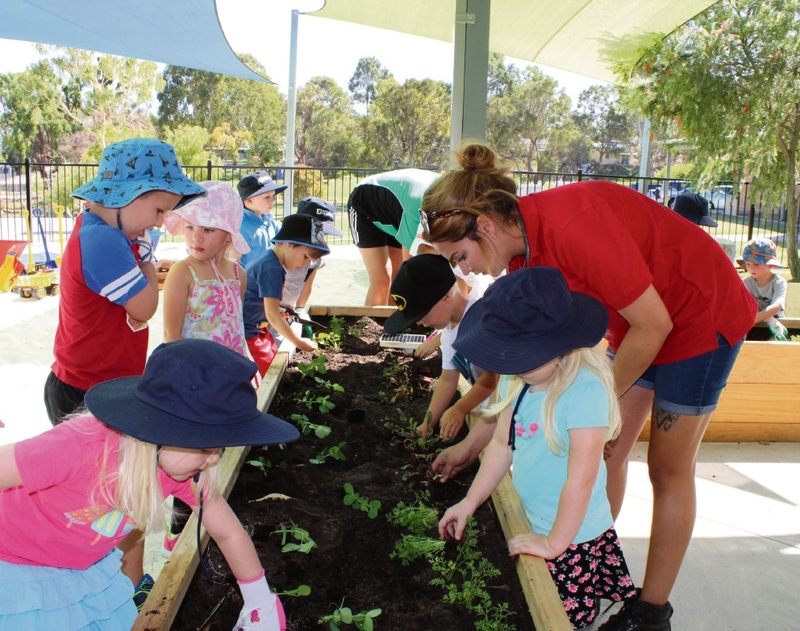 Bunnings staff help students plant a vegetable garden. ROCKINGHAM John Calvin School students got a lesson in horticulture after a visit from Bunnings staff and volunteers on March 17. Bunnings team members and volunteers helped students plant a vegetable garden and build a worm farm.